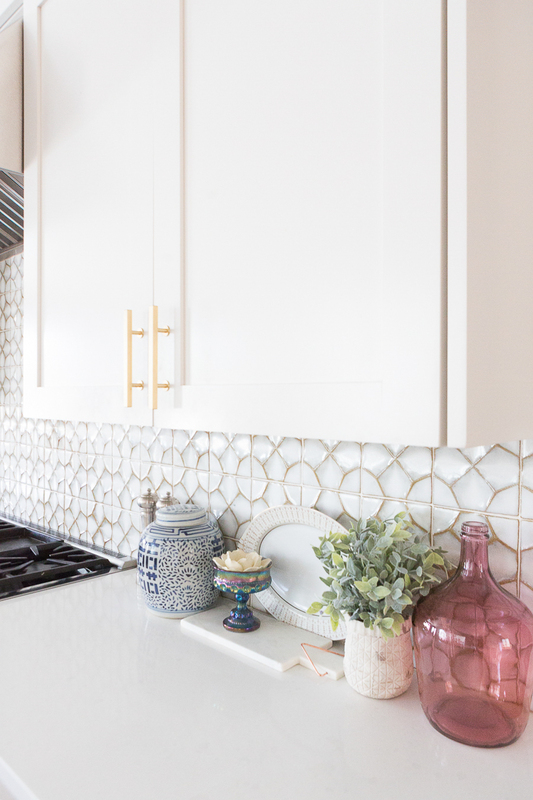 I get so many questions about where to buy patterned tile so today I’m sharing affordable Ceramic Patterned Tile Backsplash and Flooring options. 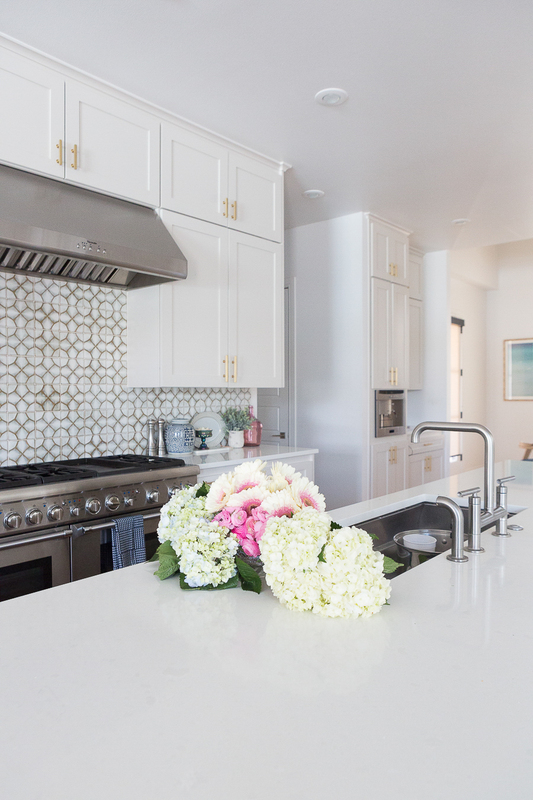 We have used patterned tile in both our Good remodel and Rebsamen remodel as well as our personal home. 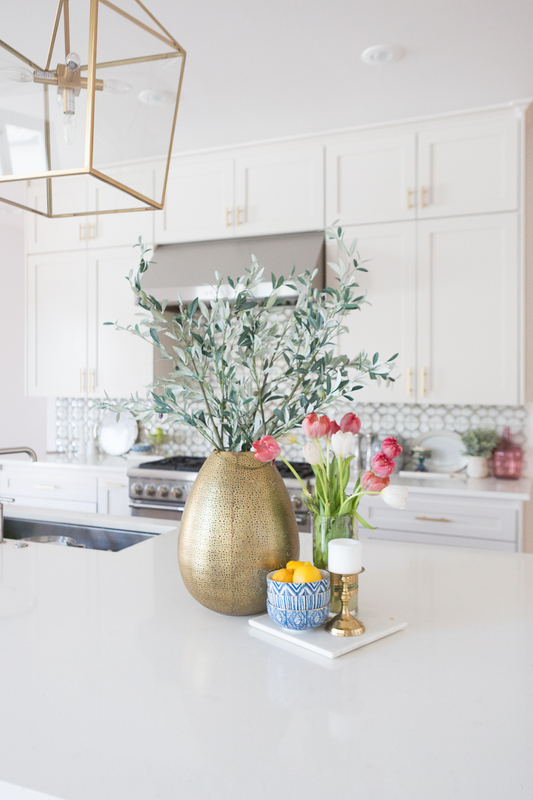 It’s such a fun way to add texture and character to a space. 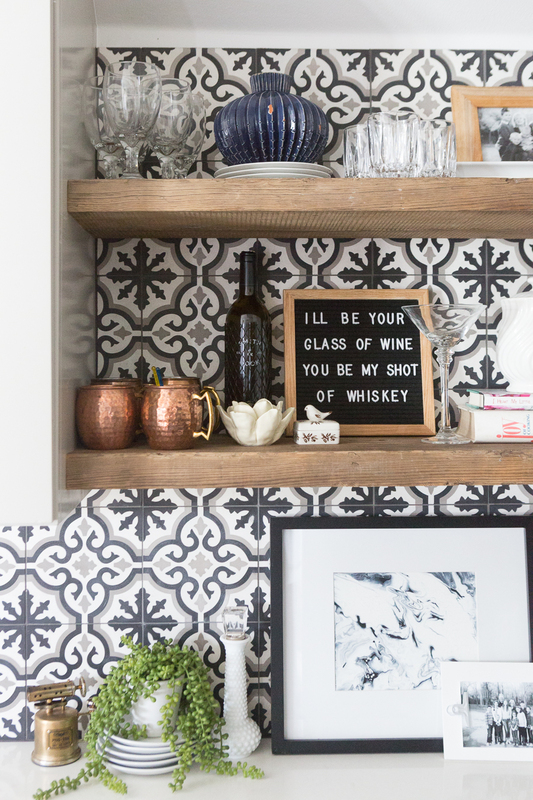 I love to use it as a backsplash, like I did in the photo above in our bar and game room kitchen area. 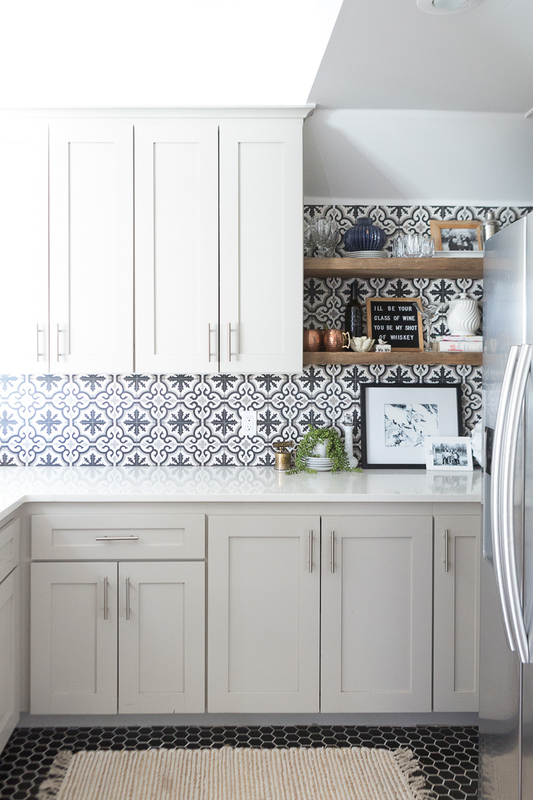 In our gameroom I used the Merola Tile Braga patterned tile. 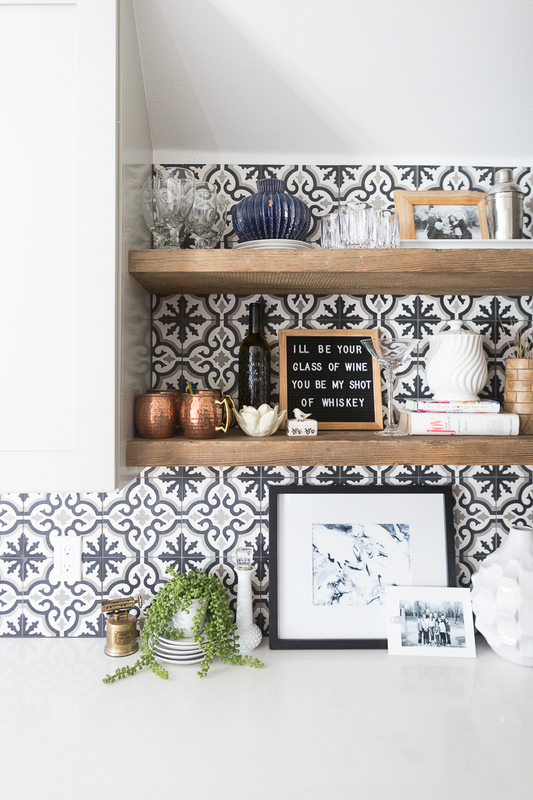 It is affordable and I love the dramatic statement it makes when used for a backsplash. I love it paired with raw wood shelving. 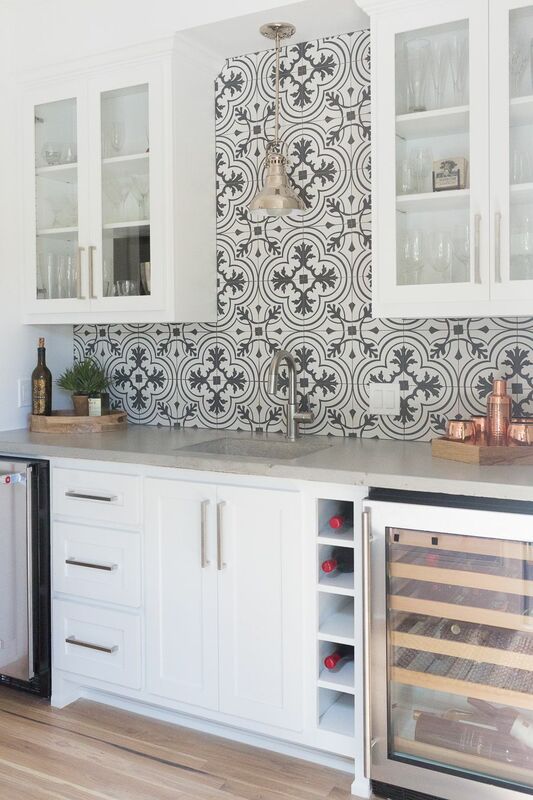 Another area we used patterned tile is our kitchen backsplash. 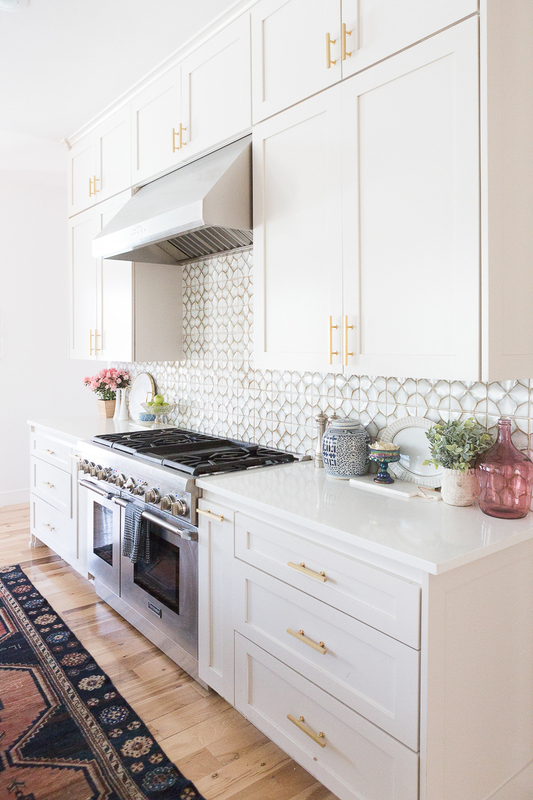 Now admittedly, our kitchen backsplash was not affordable as it was a splurge from Ann Sacks Tile. 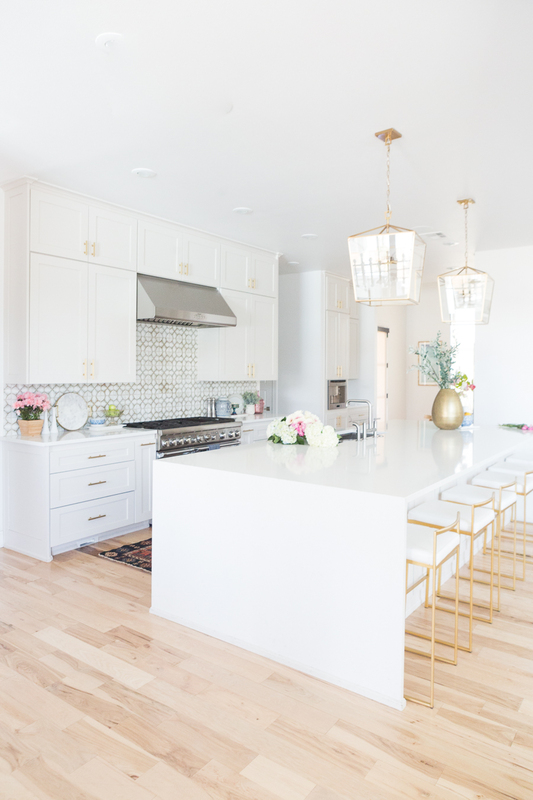 However, I have found several more Affordable Ceramic Patterned Tile Backsplash and Flooring options for you that you could use to achieve this same look in your own kitchen. 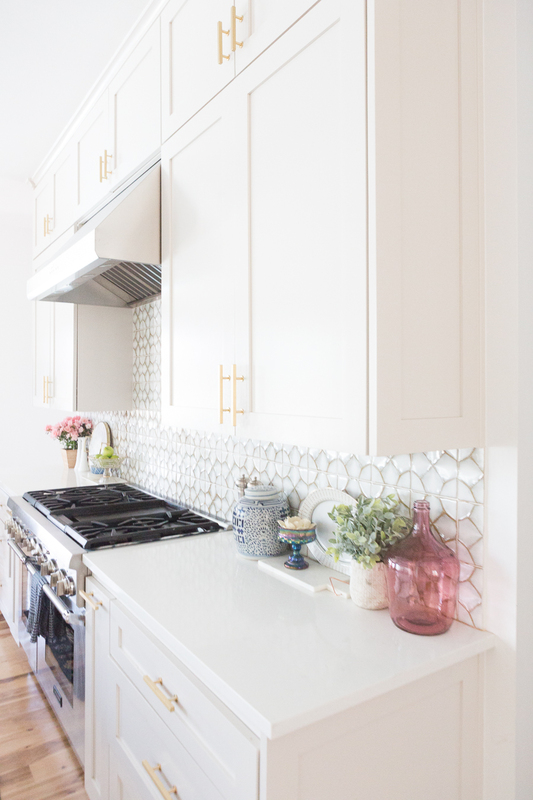 Here are a few backsplash options you could consider if you want to achieve the look of our kitchen backsplash but not pay the price tag of Ann Sacks tile. 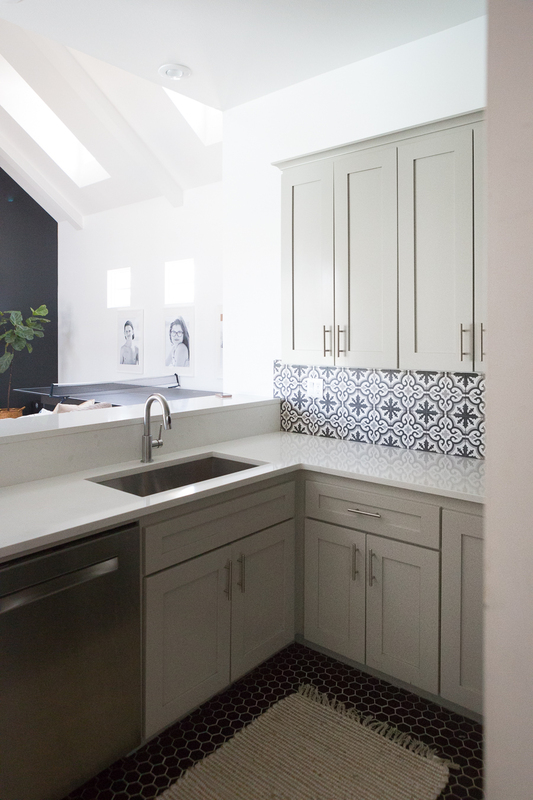 I also included a few cement tile options like the Moroccan Argana tile and the Elite Tile Annata which are both gorgeous and would give an extremely similar feel to our kitchen backsplash. 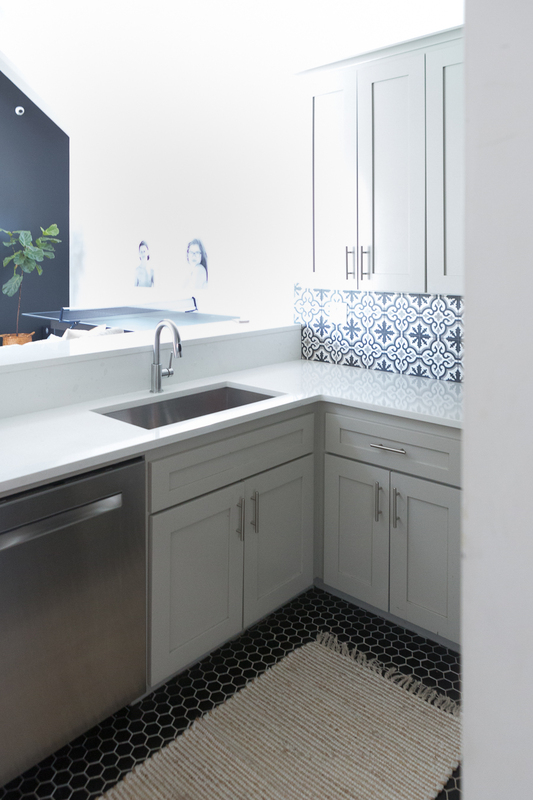 Speaking of Affordable Ceramic Patterned Tile Backsplash and Flooring, here is another look at our Good Remodel where we used the SomerTile Fifties patterned tile for a bar backsplash and paired it with white cabinets, cement countertops, and silver lighting. 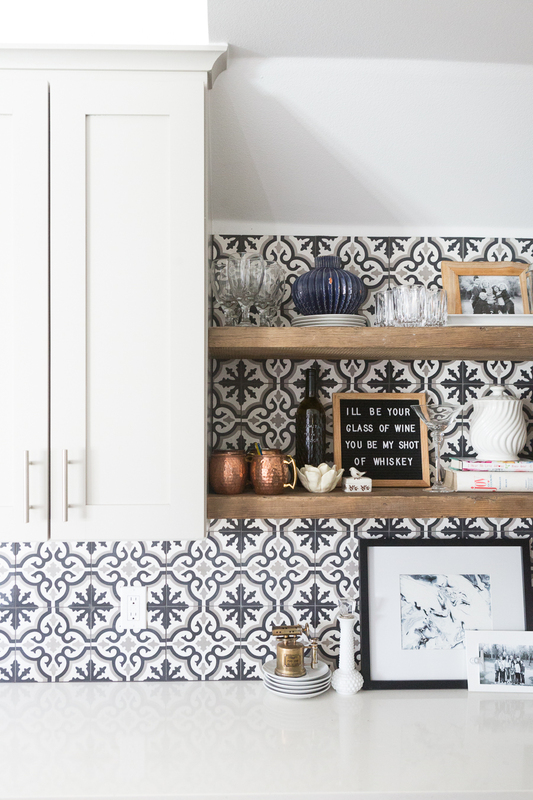 I just love how patterned tile makes a statement in this space! 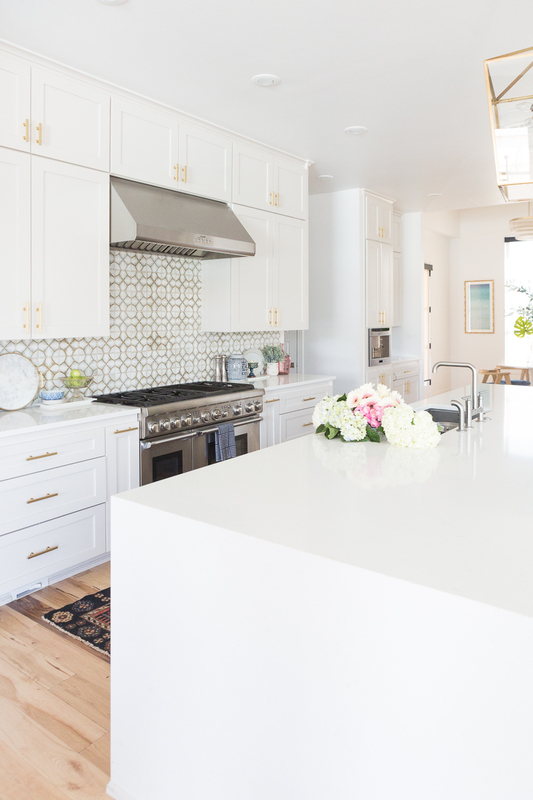 We hope you enjoyed this post on Affordable Ceramic Patterned Tile Backsplash and Flooring. 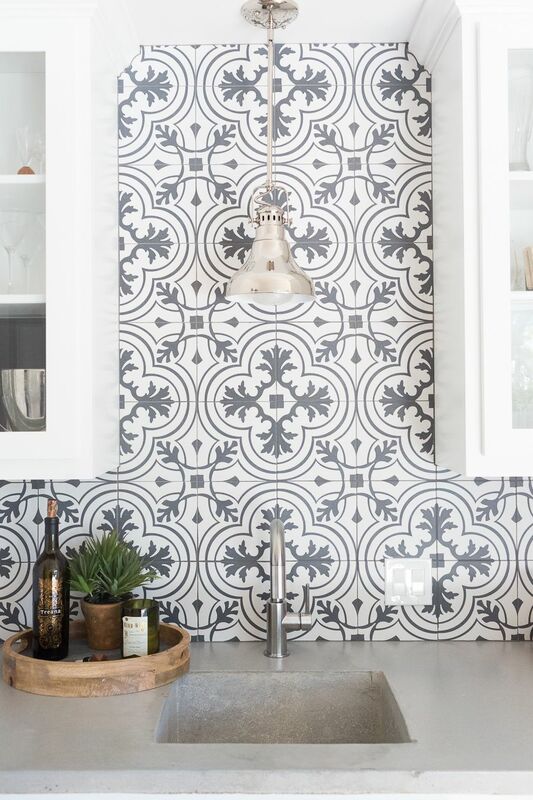 I hope it encourages you to consider some patterned tile for backsplash and/or flooring for your next project. 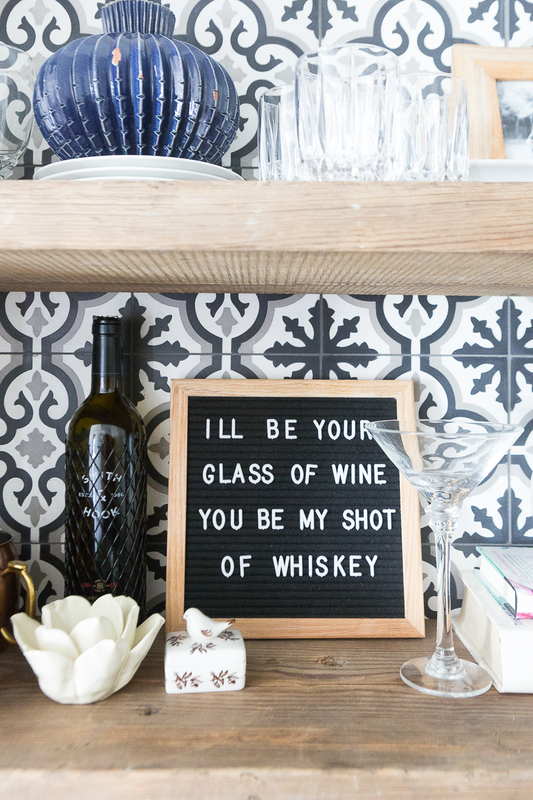 Don’t be scared…repeat after me…patterend tile is your friend. 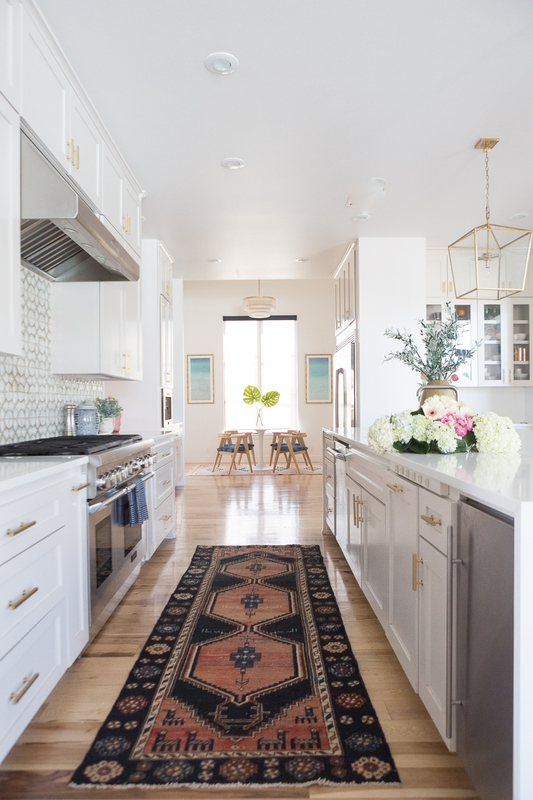 And it’s fun and adds texture and drama to a space. And you know CC loves texture and drama. Happy Shopping Friends!